DDM stands for “Every Door Direct Mail.” Designed to help businesses deploy promotions and advertisements to a targeted area, this U.S. Postal Service program allows the customer to select a location and have their mailer hand delivered to every mailbox along chosen routes. EDDM is the perfect way to advertise sales and promotions, send coupons and so much more. 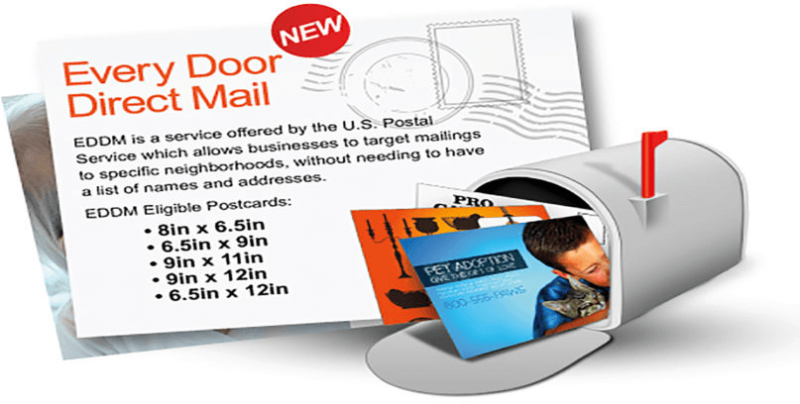 It’s a simple and cost-effective alternative to traditional and direct mail. (normal retail rate), and we’ll handle the remaining logistics. We also have full service mailing services for businesses using mailing lists and more. Contact Williams Specialties today to go over any mailing questions you may have. 4716 E 10th Ct, Hialeah, FL 33013, EE. UU.